This Friday, I was happy to visit the 49th Cairo International Book Fair. It is scheduled to take place from the 27th of January all the way to the 10th of February – so if you have not already visited, you have time! The place was packed with friends and parents and children all browsing for the latest books at great prices. 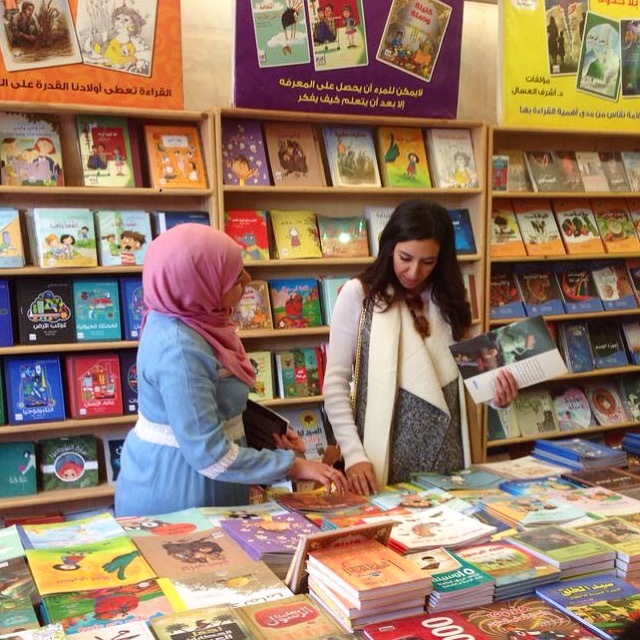 I was happy to visit the tents of Dar El Shorouk, The Egyptian – Lebanese publishers, and many others. I was very happy to visit with my friend, Dr. Farouk Majdalawi, of the Jordanian Majdalawi publishing house. It was a great place where people from many different backgrounds came together to share their views and passions for reading. I left with many new and exciting children’s books! Next Featured Author of Book Week at BISM!